Data indexing is defined as a data structure which improves the speed of the data retrieval process on a database. 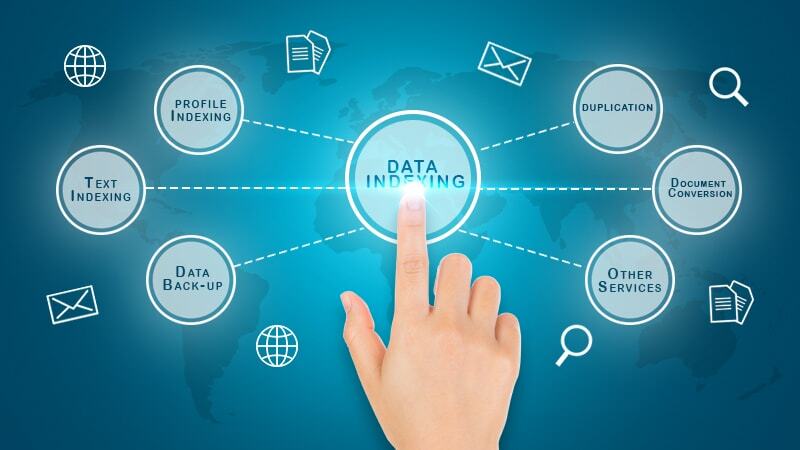 In short, data indexing implies the indexing of data from the scanned documents and they can be indexed to various formats. Indexes are used to locate the data without the need of wasting much time on searching the complete database. Scanning and Indexing, has established itself as a globally recognized data indexing service provider to thousands of clients at an affordable rate. It is necessary to clean your data frequently and update them at regular intervals. We have emerged as one of the notable offshore data entry service provider in India. We will help you to determine how efficiently you can have an access to your data, which is stored in the database. We will successfully maximize the competence of your data in order to make sure that the data is being normalized. We have a team of professional and experienced staffs who will work along with you to make sure that your data needs are fulfilled on time in a cost-effective way. At Scanning and Indexing, we utilize the state-of-the-art technology to offer the data indexing services to our trustworthy clients. Our data indexing services are well known for helping the customer continuously in looking out for information that they require. It will increase the loyalty of your customers towards you and your brand. Loyalty makes a branding technique successful in the market. We also offer the output in the format prescribed by the clients. We assure you an output of 99.95% accuracy and it will be delivered within the stipulated time.